Buying and selling vehicles is a fairly straightforward process; either you go through a car dealer or you go down the private road. But when it comes to scrapping your car, do you know what to do? Here’s a simple guide to the process of scrapping your car. The Scrap Car King website is extremely user-friendly. All you need to do is fill in your registration details and you’ll be given an instant quote for the value of your vehicle. You can also choose if you’d like to upload a photo of your vehicle or whether you’d prefer to organise the scrapping process by phone. You’ll always receive a friendly and courteous welcome and we’re happy to answer any of your queries. You won’t even have to go to the trouble of delivering your vehicle. Once the bank transfer payment has cleared, we will arrange to collect your car. We provide a free collection service from the location of your choice. Our collection service covers all districts in the London, Essex and Kent areas. One of our team will pick up your vehicle that very same day. You don’t even need to be present. As long as someone is at home to handle the paperwork, we can have your car loaded onto our recovery vehicle within minutes. 3. Where Will My Car Go? 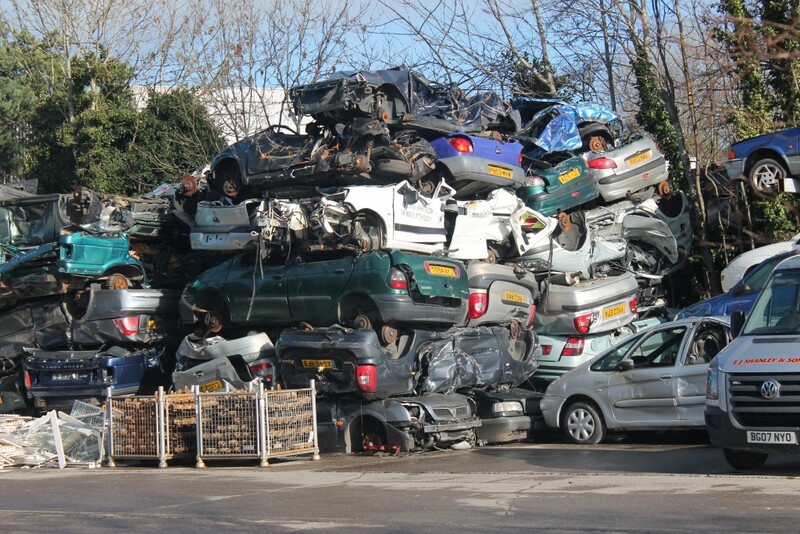 Your car will then be delivered to our depot where it will be prepared for the recycling process. We are connected to a fully registered Authorised Treatment Facility and are compliant with various environment agencies so you can have peace of mind that your car will be disposed of in the best way possible with minimum impact on the environment. Scrap Car Kings will contact the DVLA and inform them that your car has been scrapped and recycled, saving you the time and expense of extra paperwork. Scrapping your car couldn’t be easier. If your vehicle is no longer roadworthy, scrapping your car is far simpler and more cost effective than trying to sell it. For more information on our scrap car service, contact us today.